The private sector has a big role to play in addressing the STEM education challenge. We believe it starts with an intentional focus on building a corporate culture that is conducive to service. The Excellence in Corporate Culture award will recognize companies that are promoting and supporting a culture of STEM volunteerism across all levels of their business operations. 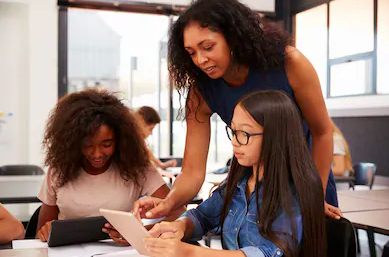 Leadership from public agencies and officials is critical to the growth of STEM mentoring efforts, from raising awareness about STEM mentoring, to convening key stakeholders to tap the mentoring talents of experienced government employees. When the public sector partners with the corporations employing large STEM workforces, or the nonprofits serving youth, STEM mentoring magic can happen. Students who are engaged in maker-centered learning develop the mindset, skills and experiences that are critical to preparing them for the jobs of the future, being innovative problem-solvers and creative entrepreneurs. Maker-centered learning, also known as maker education, focuses on experiences which provide students with the opportunity to explore their world through designing, hacking, building, prototyping and experimenting. The Diversity and Inclusion Program of the Year award strives to find youth serving organizations that are excelling at pairing the perfect mentor with students, teaching curriculum that re-addresses biases and inaccuracies, and/or utilizing other innovative strategies to make sure education is as inclusive as possible.